He's sure to look stylish when he pulls our this engraved black leatherette money clip. 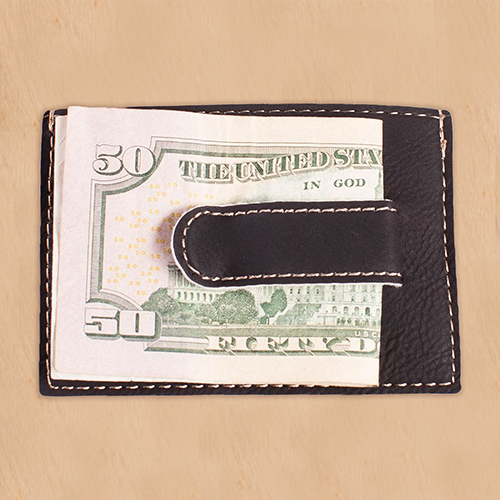 Just as sophisticated as he is, this leatherette money clip adds extra style to his every day attire. 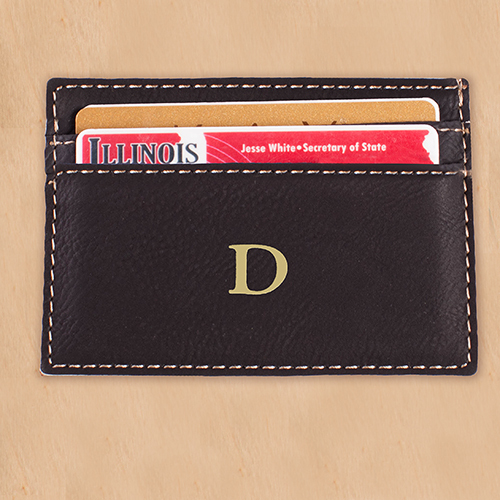 Featuring any single initial, these money clip makes a great Personalized Gifts for Him. All Personalized Men gifts are customized FREE and ship FAST!